Looking for a place where your four-legged family member will receive five-star treatment? Look no further! 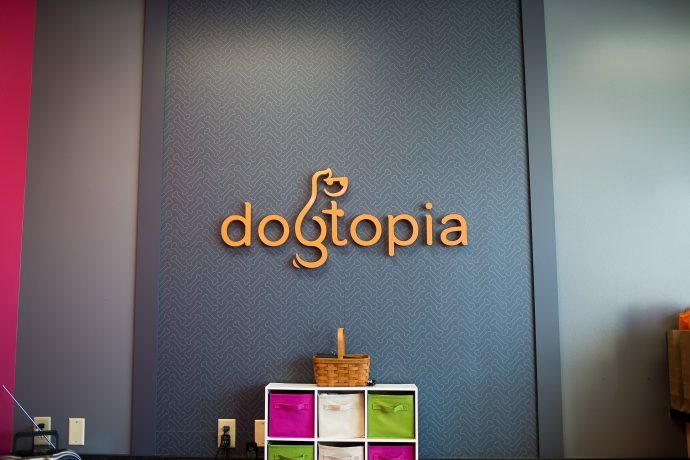 Dogtopia Omaha is an open play dog daycare, boarding facility, and spa. 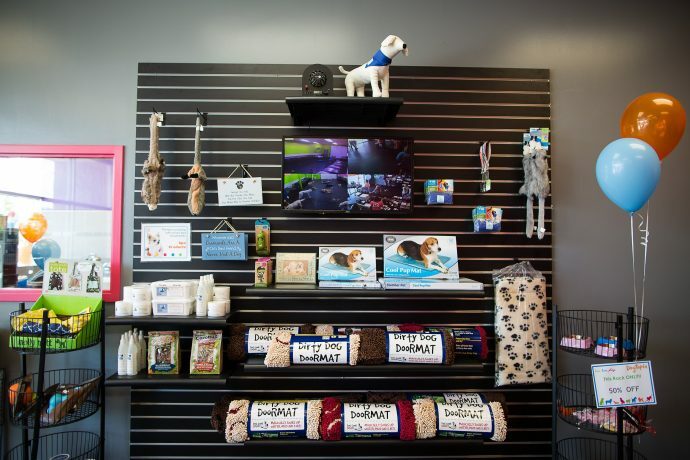 Basically, we’re your one-stop shop to spoil your dog! Our friendly and knowledgeable team love dogs and will do everything we can to make sure they have a paw-some time when they stay at our fully-equipped, spacious facility. 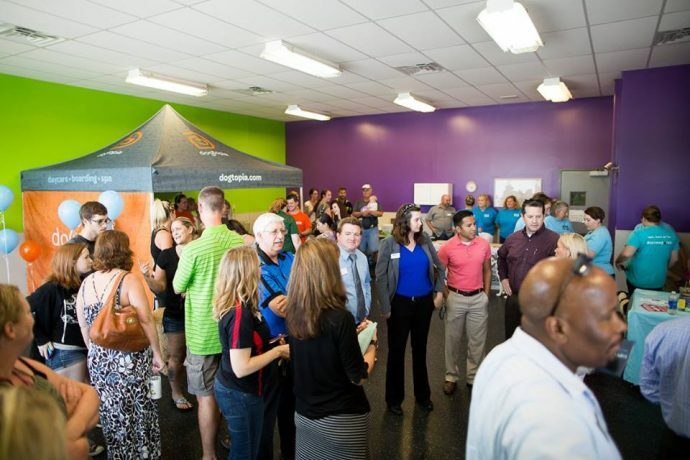 Our conveniently located facility serves residents of Omaha, Papillion and La Vista and surrounding areas. Convenient located at 13239 W. Center Rd, we are located off 132nd St. between Giles Road and Highway 370. We realize how important your dog’s safety is; that’s why our team is fully trained in recognizing dog behavior. If someone needs a time-out, they’ll get one quickly! You can rest easy knowing that you’re leaving your pup in very capable hands. Dogtopia Omaha takes what matters to you and make it matter to US. When you pick your dog up from daycare or an overnight stay, you’ll have a happy pup on your hands who’s tired out from a great day of play. Add a spa and grooming service to your package for a clean dog that smells great. Your dog’s safety is our number one priority, which is why we separate our guests according to their size, temperament and style of play. Our playrooms are fully supervised 100% of the time by our highly trained attendants. 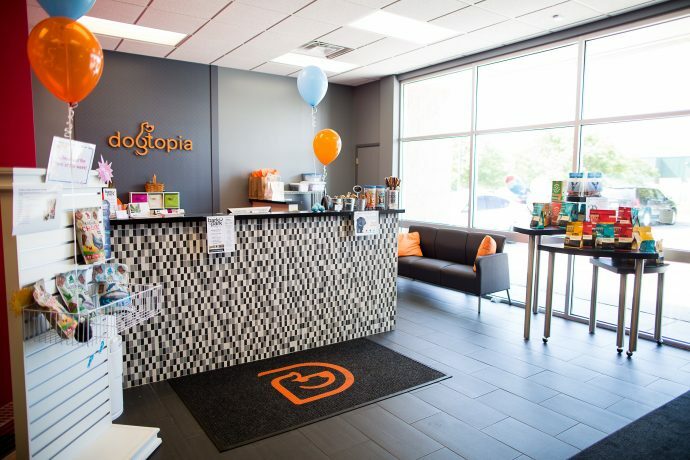 Our Dogtopia Omaha team undergoes the highest quality of training including dog behavior, playroom management, preparation & cleaning, and spa services . You can rest easy knowing that you’re leaving your fur baby in very capable hands. 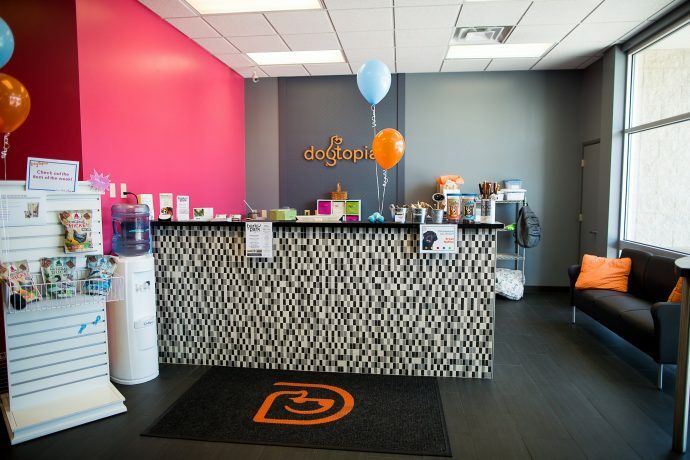 Dogtopia Omaha designed our facilities with your dog’s comfort in mind. 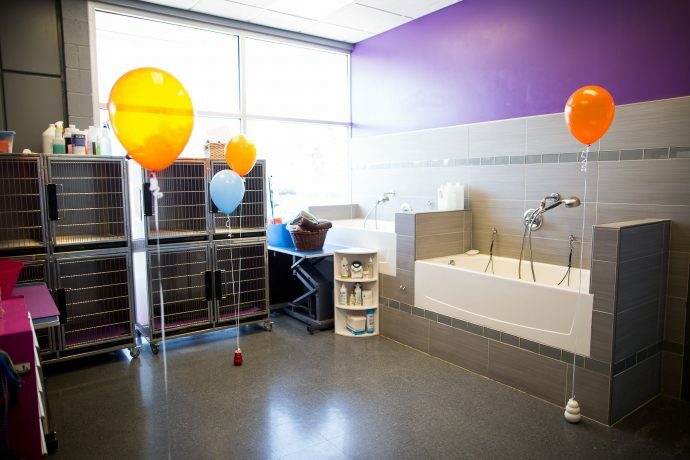 Our climate-controlled playrooms feature flooring made of compressed rubber, a material that is easy on their foot pads. It is also provides a soft walking surface, something that is beneficial for dogs suffering hip dysplasia and other bone and joint conditions. And because of our special rubber flooring, you don’t have to worry about it impacting your housetraining in any way.